Ah, oxygen. Us humans, and every other living thing on this planet, need it to live and breathe and plants release this precious gas during the process of photosynthesis. As much as oxygen is important to life, it is equally as destructive. 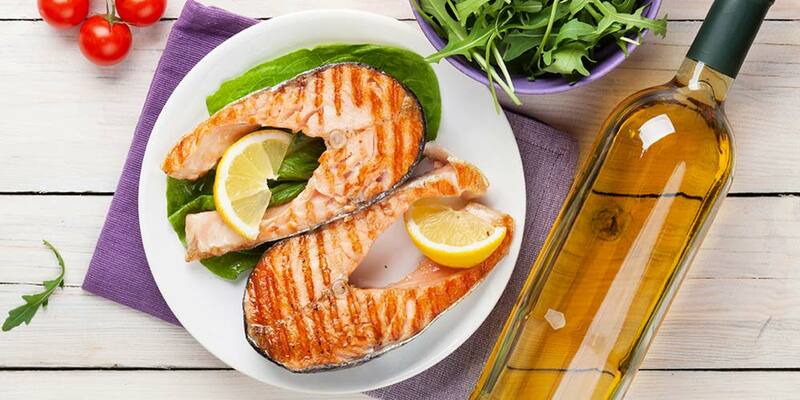 It rusts our valued cars, in our bodies, oxygen in the form of free radicals can cause excessive inflammation, break cells down and cause oxidative stress transforming DNA figurations, which ultimately can lead to many sicknesses. So what does oxygen do to wine? Oxygen in certain doses for wine, as it is for us, can be beneficial. Before we even get to oxygen and the wine bottle, or decanting we are going to take a step back a bit to the wine-making process. During certain moments in the fermentation cycle of a wine, it is important for the wine-maker to actually aerate the wine. Yeast, the living creature which transforms grape juice into our beloved wine feeds on the sugars of the juice. Just as we would tire of consuming sugar at a constantly, so does the yeast. This does not make them very happy and the, a-hem, ‘bi-products’ of such unhappiness can result in odors of sulphur gas or even acetone. This can all be remedied by the aerating, thus giving our little yeast buddies a bit more oxygen throughout the fermentation. What About Oxygen in the Wine Bottle? Most of us are not aware of this, but even when wine is bottled, it will contain a very small amount (talking less than 1%) of dissolved oxygen in the bottle. The quantity of this is minimized by the gassing the wine in its tank from which it is coming from to the bottles with either argon or nitrogen. The wine is bottled, the bottle is gassed and then corked. It arrives in our hands via our wine shops and if we place it in our collection, we store it in hopefully a cool and slightly humid environment on its side. By action of pouring the wine in the decanter you are imparting oxygen in the wine. The wider space of the decanter allows for the wine to spread out, thus allowing the wine to have more contact with air, than say it might in the bottle. The other important benefit of decanting your wine is that when you pour it into a decanter, it agitates and mixes with oxygen. This allows your wine to show its true characteristics. Just leaving it in the bottle does little, or really nothing at all. 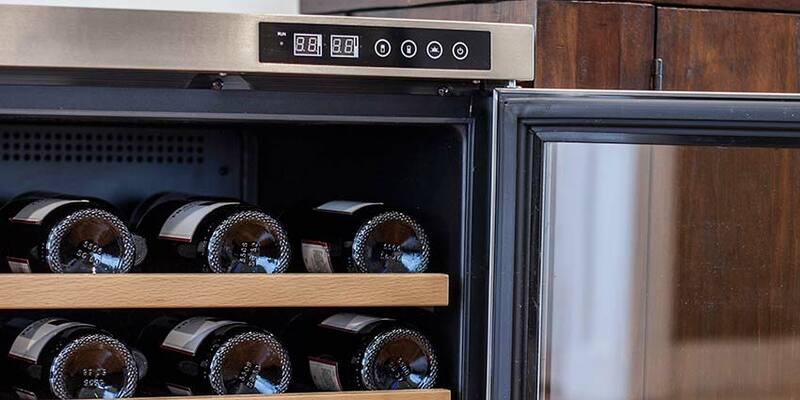 Why Is It Important to Store Wine On Its Side? The cork is porous and it will allow for the transfer of oxygen inside the bottle. If the bottle is not on its side, it will do this at a faster rate, thus aging the wine faster than most of us might desire. 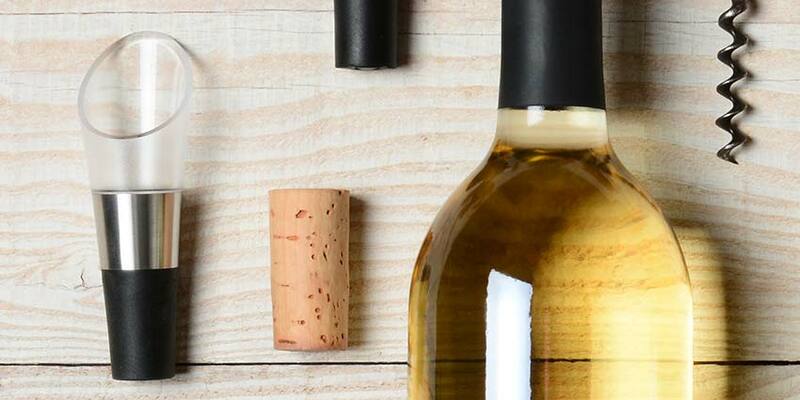 If the cork is in contact with the wine while in a prone position, the cork will remain moist, thus expand and allow for less air to enter the bottle. This controls the contact your wine has with oxygen at slower rates. This is an ideal method to allow it gracefully age. If you uncork a wine and the cork breaks off because it is dry, that is not a good sign. What Happens When You Decant Wine? The cork is porous and it will allow for the transfer of oxygen inside the bottle. If the bottle is not on its side, it will do this at a faster rate, thus aging the wine faster than most of us might desire. 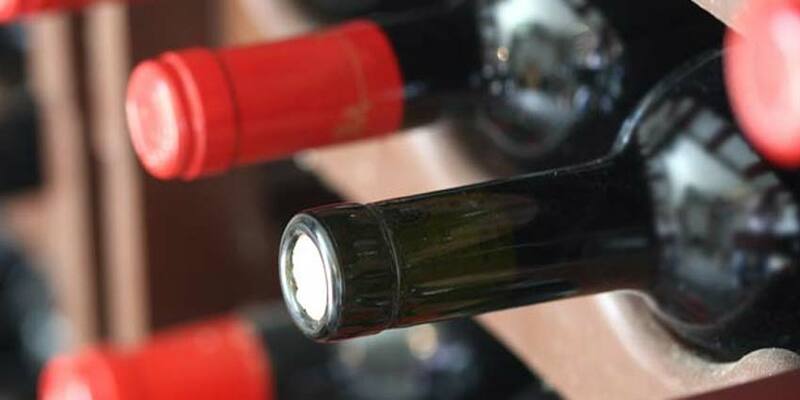 If the cork is in contact with the wine while in a prone position, the cork will remain moist, thus expand and allow for less air to enter the bottle. This controls the contact your wine has with oxygen at slower rates. This is an ideal method to allow it gracefully age. If you uncork a wine and the cork breaks off because it is dry, that is not a good sign. What Benefit Do We Gain From Aging Wine? Many of the results wine gains from aging, these days, are a little subjective. Let’s first start out by saying that, if you like your wines fruity, fresh, even like fresh chopped herbs and sometimes jammy drink them young. If you prefer more savory wines, wines of rounded fruits, complex perfumes and more refined, drink it a touch older or much older. Just like oxygen as free-radicals in our bodies can aid in aging, even the unwanted signs, like wrinkles and such, this is what it does to young fruit. It rounds it out, matures the fruit and even other elements which are imparted from oak, like spices. 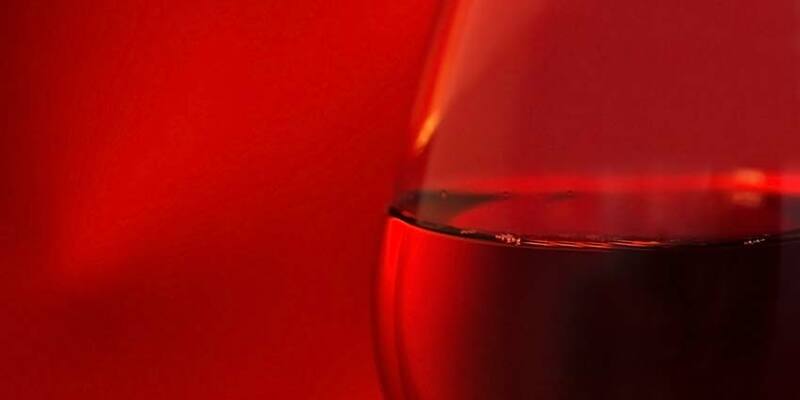 Astringent tannins from both the fruit and oak will soften and eventually, physically fall out of the wines structure in the form of sediment. I could go on, but I think you might be catching on. So as say, two or five years (or more) of aging wine in a bottle will transform the wine, its tannins and open up aromas, so will decanting, obviously at a much faster rate. The old saying of “Let it Breathe” comes to mind. For most of us, simply allowing your glass to act as a decanter is the best method to follow. It’s easy to just give it a few swirls, to enable the true flavors. 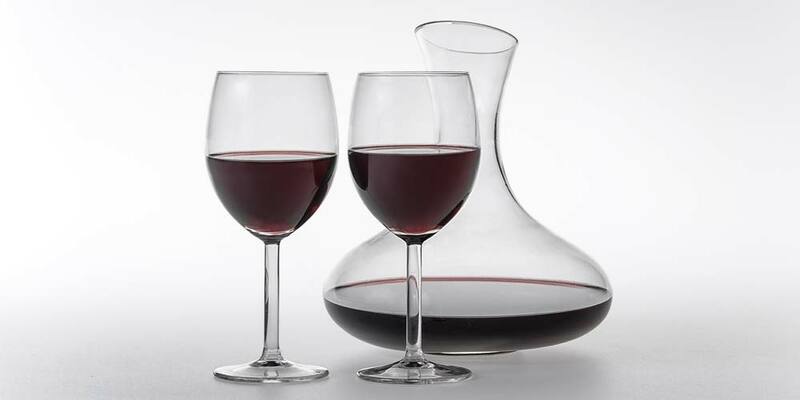 However, for those wine aficionados that truly appreciate the nose and flavors of what they taste, a wine decanter is one of the best wine accessories you could have around.